Select ‘Web Browser’ from the drop down …..
Then add the path to the file before clicking OK.
Once the panel is displaying the content, you can then increase the width of the panel to the full width of the screen. 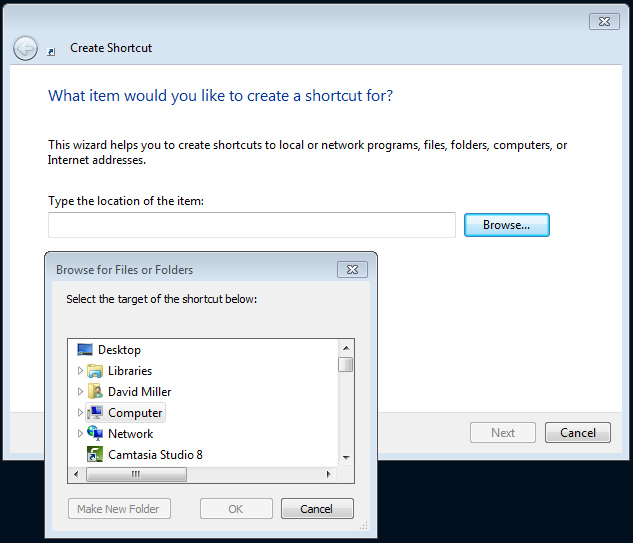 The easiest way for to access and edit the file is to create a shortcut on the desktop. 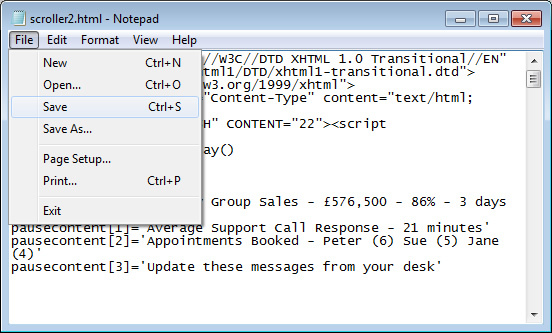 Once the shortcut has been created, it’s easy to right click on the shortcut icon, select ‘Open with’ and edit the file using Notepad. 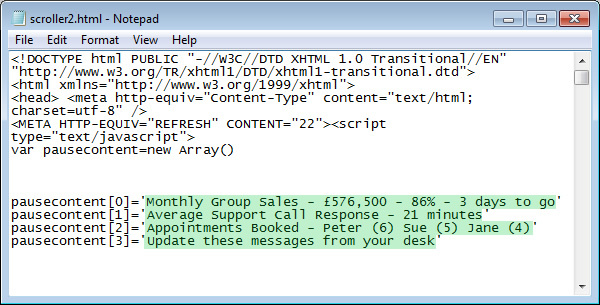 Each line of content can be edited and additional lines added if required. If additional lines of content are added you may wish to change the Refresh timer. 22 seconds works well for 4 lines of content. 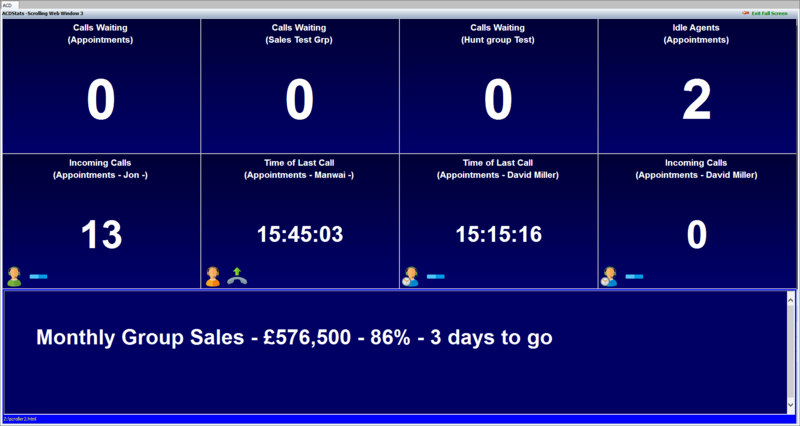 Once the changes have been made simply save the file and the wallboard content will update on the next refresh. Changing the timer below will change the amount of time between page refreshes. 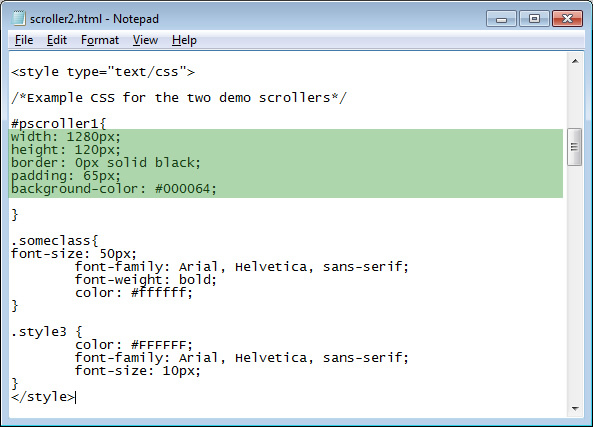 It is also possible to change the width and height attributes, as well as the background color. 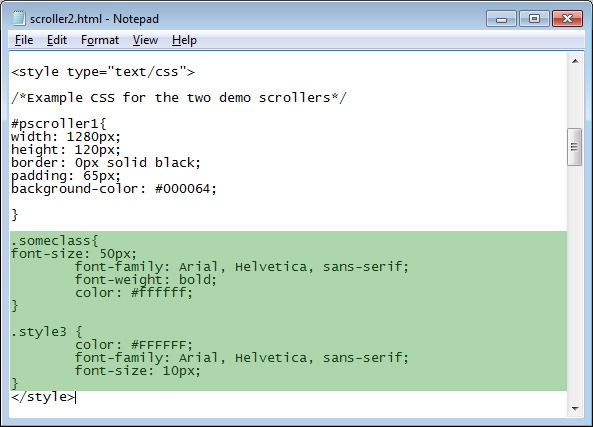 The font style for the text can be changed as below.